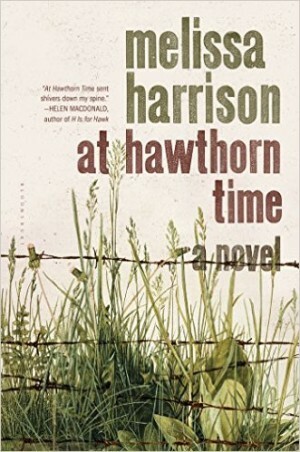 Here is a list of books editors Gary Budden and Kit Caless, authors Eley Williams, Clare Fisher and Darran Anderson are looking forward to reading this summer. They're not necessarily new, but we're certain they're all banging. Long before there was the internet, there was Athanasius Kircher. This book is a source of endless wonders. Another cabinet of curiosities in book form. I read this as a teenager and it has sent me off in a thousand different directions. I've started writing a mythological travel guide involving real places so now seems like a good time to return to it. I've made a good stab at reading all of the superb SF Masterworks series of books and the one I'm inclined to return to most is this curious and mesmerising exploration of the universe. A book for the oddballs among us who like night-walks and staring up at the cosmos while the rational world sleeps. This novel focuses on the relationship between the narrator and her perpetually suicidal sister. It’s perceptive and moving and, believe it or not, hilarious. It asks the old ‘what’s the point?’ question from new and satisfyingly oblique angles, and definitely comes out on the side of life. Try this at the beach, on the train, by the pool, on the balcony, at the park… You get the idea. I’m hardly magic realism’s No.1 fan but Readman’s existential take on the genre took my breath away; there are things you can only say through a character’s transformation from mother and employee of a chippy to, erm, Elvis. If you’ve read Davis’ Collected Stories, don’t be fooled into thinking you’ve seen everything she can do with a sentence; you haven’t seen s**t. If you’ve never read Davis then what are you doing still sitting here, reading this? Go out and dose up on a totally unique interpretation of the short story form – her latest collection is as good a place to start as any. The 10th of July sees the launch of Joanna Walsh’s Shklovsky’s Zoo from Pieces of Paper Press, and you BETTER GET YOUR SNAFFLE-HOUNDS THITHER because this fascinating chapbook has a limited run of 150 copies. Limitation and constraint are crucial to this piece, which sees Walsh trouble and disrupt the concept of autobiography, literary lineage and what it is to occupy a page. A writer of [seemingly endless] energy and innovation, Walsh’s work is a consistent delight, always witty and yearning and completely artful: Shklovsky’s Zoo looks like it will be a neat, nigglesome trick-shot of writing. There is nothing better. It is small enough to fit in a pocket. You have a pocket, and you should put this in it. A taster for the forthcoming memoir Hotel (Bloomsbury, 2015) and novel Vertigo (Dorothy, 2015). I’m really looking forward to falling and falling and falling into Sophie Mayer’s new collection (O), available this summer from Arc Press. In the past, educator and activist Mayer has described her work as ekphrastic and adaptive – I’d add intricate, beguiling and just so bloody clever. As a poet who frequently packs more into a single, cool seethe of a sentence than many writers manage in an entire essay, add that the book’s blurb promises ‘[s]pirited, politicised, contemporary and Classical, these poems bring a poetic voice to the women that have lived in the cracks of history’, this an instant addition to my summer bookshelf. I find I’m forever returning to Her Various Scalpels (Shearsman, 2009) and The Private Parts of Girls (Salt, 2011) because of the way Mayer makes language and ideas buckle and blister. Her writing is a finger at a wineglass, making the air ring. In short, the idea of a new book makes me mix metaphors with giddiness. I can’t wait to be snagged in (O)’s orbit. Fresh from winning Gatehouse Press’s New Fictions prize, Kumkum Malhotra is the new novella from Preti Taneja. I’ve the pleasure of hearing extracts of the work in the past, and so I am completely unsurprised to see Taneja’s spare prose – lyrical but incisive, elegant in its precision – earning her a legion of new fans (‘beautifully sculpted surfaces and terrifying depths’ says Maureen Freely, with Deborah Levy adding 'Preti Taneja is a writer to watch, no doubt about it'). Set in the Nizamudin area of contemporary New Delhi, Kumkum Malhotra is a story centred upon crisis, loss and unearthing: with an eye for the taut and uncanny, this is a writer who regularly, utterly transfixes. Get it while it’s hot. The funniest book I have read in years, about deluded alcoholic gardener Francis Plug (also an aspiring writer, of course) and his one-man mission to get as many Booker prize winning novels signed by their authors. 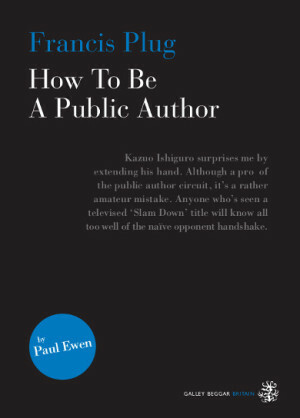 Highlighting the ridiculousness and over-seriousness of live literature events, this book is a must for anyone who’s ever been to a book launch and had too much free wine. My favourite parts were where Francis decides to quote Hilary Mantel dialogue at a bunch of bankers, calling one of them a ‘leek eating c**t’, and when he meets V.S. Naipaul at the Hay Festival , claiming AS Byatt is the wind and trying to blow the tent over in reaction to Naipaul’s comments about female writers. 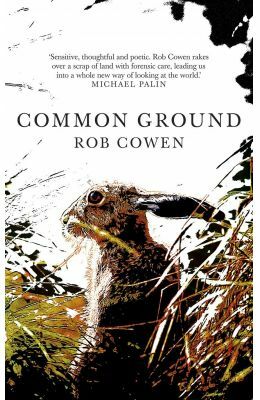 This is a perfect example of when the ‘New Nature Writing’ works; Rob Cowen’s account of his fascination with an unloved patch of edgeland near his new home in Harrogate merges autobiography, social history and extraordinary passages of fiction to great effect. Common Ground is also pleasingly politicised, veering away from the twee wistfulness that can blight this kind of writing. There is a sustained piece of charged imaginative writing early on in the book, charting the final day of an elderly male fox, which will stay with me for a very long time. This is how to write about to place. Not exactly new, but new to me, Canadian author Lynn Coady’s collection is one of the finest examples of short-fiction I’ve had the pleasure to read. Sharp, insightful, dropping the reader into the middle of the characters’ complicated (and often unusual) lives and getting out before any solid conclusions can be made, Coady’s writing is exemplary of the form. I met Sunny at the Stoke Newington Literary Festival and was immediately taken with her articulate, knowledgeable, warm personality. She spoke on a panel we helped organise fluently and with great wisdom. Since following her on Twitter I seem to have learned more in the last two months than I did at secondary school. Hotel Arcadia is her newest novel, and I’m really looking forward to reading it. A thriller set during a terrorist attack on a hotel, with what seems like a John McLean style photographer not wishing to die hard, it’s sounds right up my street! Each year Salt produce a wonderful collection of short stories from our rainy island, published in various organs over the year. This year looks as vintage as ever with stories from Hilary Mantel, Helen Simpson, Alison Moore and Matthew Sperling. Nicholas Royle has an excellent eye for the short story and has edited some of my favourite novels in the past so I know the book is in safe hands. Unfortunately, Gary’s influence seems to be rubbing off on me and I’m looking forward to reading a book set in the, wait for it… the countryside (gasp!). Melissa’s writing is excellent – I really enjoyed Clay and there’s a central character called Kitty (close enough for me – last year I chose Nikesh Shukla’s Meat Space which had a character called Kitab in it, so this is proving somewhat of a tradition) in her second novel. It’s been praised to the high heavens by plenty of people who like great books. I can’t wait to read it while sitting in Hackney Downs pretending I’m in a meadow or something.